Having a procedure such as tubes tied reversal is not impossible. However, it can be costly and, even with a reversal, you still may not be able to conceive. If you're currently looking into birth control options and trying to decide "Is it a good idea to get my tubes tied?" then you may want to read about all your possible birth control methods before jumping in. You start thinking that you may want a baby soon. You decide that you would like a baby in your future. You change your mind about ever having children because you meet a partner who would like to have children with you. Sometimes, tragically, a family loses a child and decides that they want another baby. There are plenty of other reasons behind changing your mind. The reason is less important than the fact that changing your mind is perfectly okay. Plenty of women do change their minds with some studies showing that as many as 25 percent decide that they'd like a baby after a tubal ligation. Who Can Have a Tubal Ligation Reversal? Depending on your situation, you may or may not be a candidate for having a tubes tied reversal procedure. The first step is to make an appointment with your doctor. Most women looking into a tubal ligation reversal choose to speak with, or are referred to, a fertility specialist. If you are seeing a specialist at a clinic other than your usual clinic, it's a good idea to take along copies of your tubal ligation operative and pathology reports. There is a lot that your new fertility specialist can tell from these reports, most importantly if you're even a candidate. What if You're Not a Candidate for Tubal Ligation Reversal? 98 percent of the women who visit the clinic are able to successfully have a tube repair. Over two-thirds of women treated at this clinic become pregnant within an average of ten months after having a reversal. These are excellent success rates. If you've been turned down for a tubal ligation reversal in the past, one option is to look into a clinic like Chapel Hill or locate other specialty fertility clinics and doctors. If a clinic is far away, they can still help you before you need to visit by looking at your medical reports. If second (or third) opinions fail to help, the next step will be to look into IVF: in vitro fertilization. Your success rate for getting pregnant is lower with IVF than a tubal reversal but since not all women end up able to have a reversal this is one option. 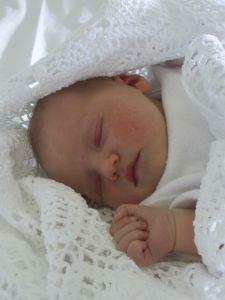 Other ideas surrounding adding a baby to your family are options such as adoption or surrogacy birth. Success rates vary depending on the procedure you have. In the past, there was a traditional procedure for reversal that involving a three hour surgery under general anesthesia. The success rates for becoming pregnant after having a traditional procedure are around 70-80 percent. There is a better, more successful outpatient procedure currently available as well that involves microsurgery. Women who have this procedure are reported to stand a 90 percent chance of conceiving afterwards. Both the above success rates are based on women under the age of forty. Make sure that when you visit your doctor, you take along any questions you may have about side effects, success rates based on your personal health information, costs, and if your insurance covers the procedure. Lastly, be sure to do some research and look into all your options before choosing a doctor for your procedure - this is a one time deal. While some mistakes or problems of a problematic tubal reversal can be fixed, it's better to have it done properly the first time. Make sure you receive the best care possible.